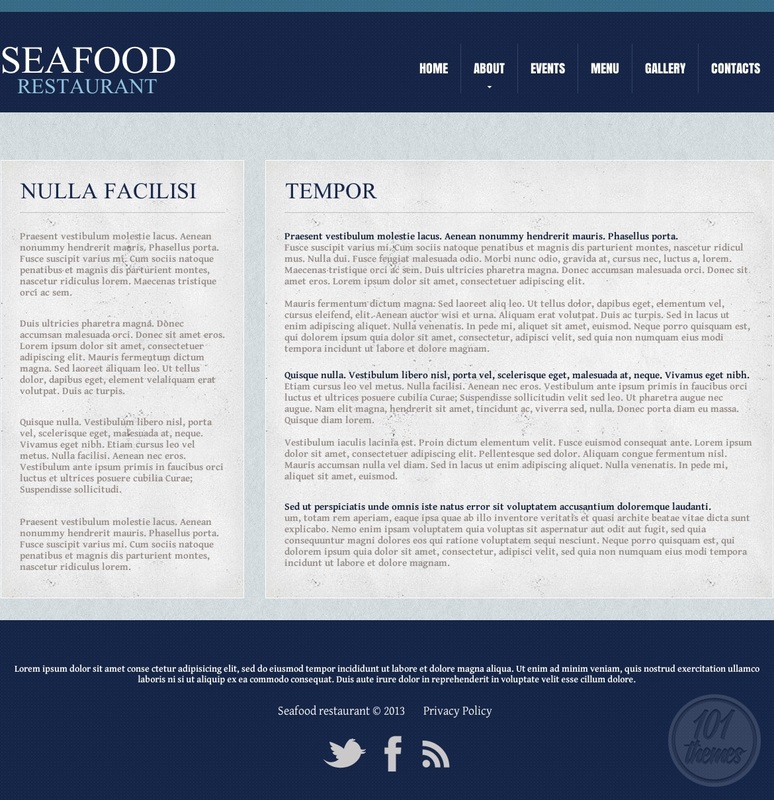 Template Monster presents a great looking HTML seafood restaurant template created by Mercury. It is called Seafood Restaurant and it is pretty much self-explanatory. It’s own content management system MotoCMS is integrated so you can edit and customize the whole layout very easily. Each element of the template can be edited so it matches with your own vision and desires. As for the default look, it is simple, modern and very attractive. 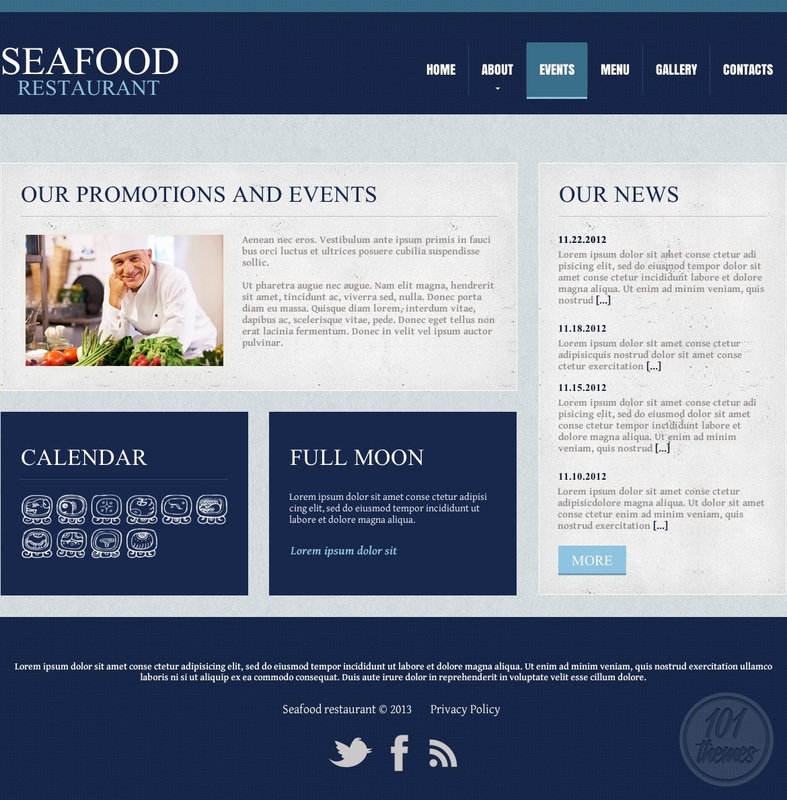 The colors used are marine blue and white, giving the whole template a great sailor-like look. 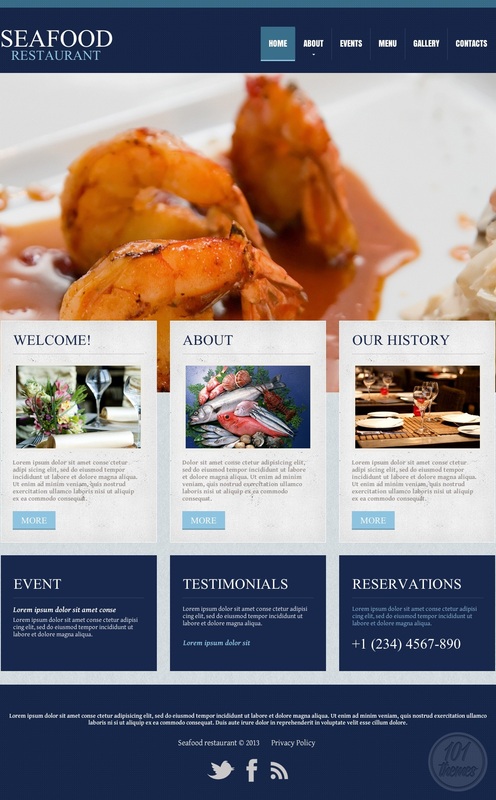 The top of the homepage reveals a huge, full width slider where you can post remarkable photos of your delicacies and make your visitors crave for them the instant they visit your website. Convenient content boxes were added for featuring important posts from your about page. This is where you can introduce your guests to your restaurant properly and let them know all about the services you provide for them. You can also tell them all about your restaurant’s history and introduce the members of your staff to make your guests feel pleasant wanted and welcome. Other important content can be featured to the homepage as well, such as events, nice testimonials coming from your satisfied customers, or your reservation info. 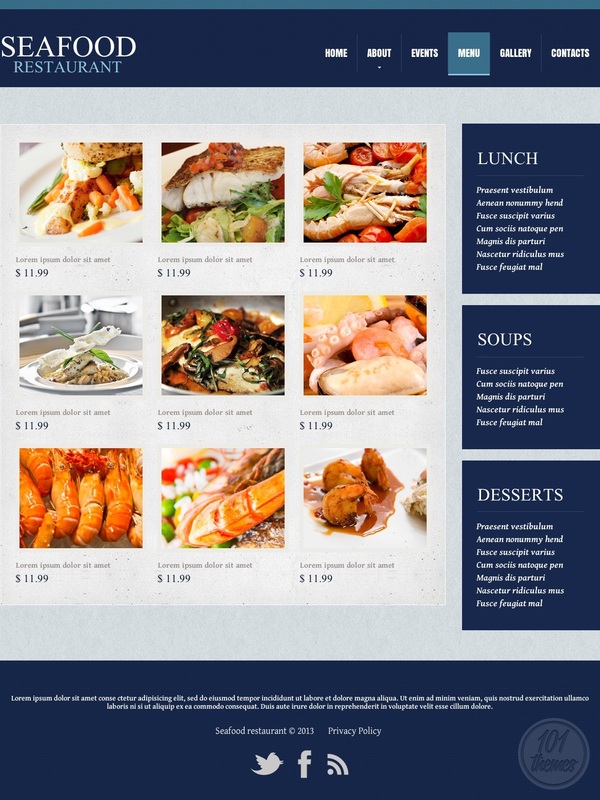 The menu is perfectly organized, you can add many categories to it, and you can also attach a photo of each menu item so your guests know exactly what you are offering. 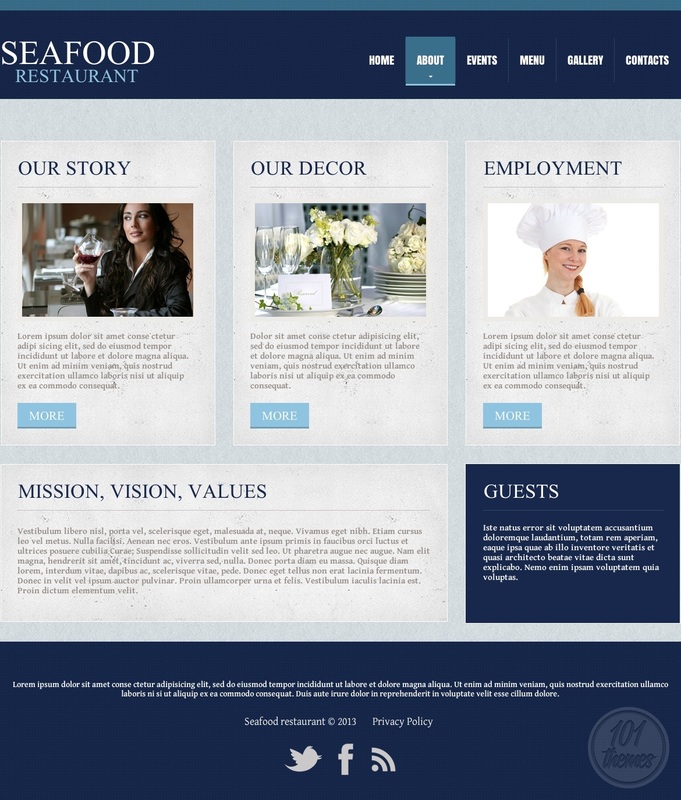 The events section is there for you to keep your guests updated on any news regarding your restaurant. 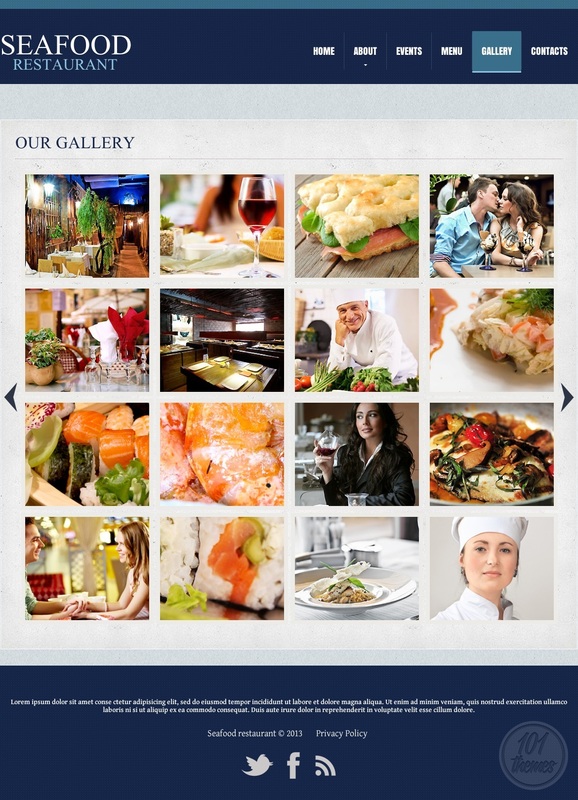 There is also a separate gallery section included and this is where you can post many photos of your delicious dishes and keep your visitors interested. The contact section includes a contact form and Google Maps integration, and this is also where you can display your contact info. 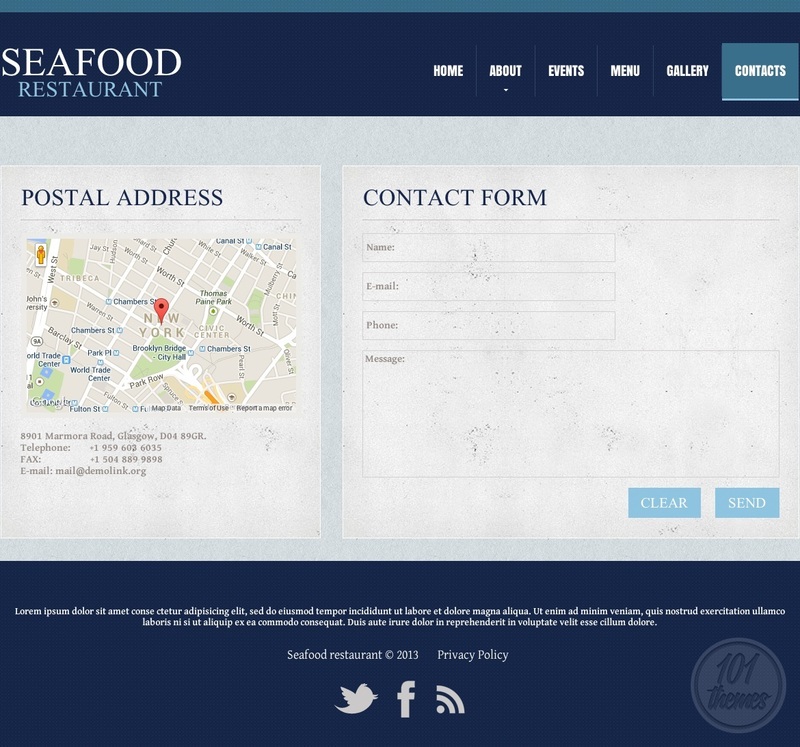 Seafood Restaurant can be used as a HTML Japanese restaurant template as well, as it fits this restaurant niche very nicely.